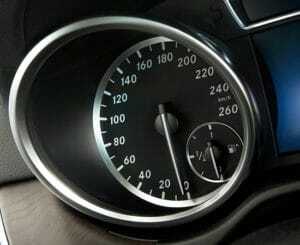 Infiniti is the luxury vehicle division of Japanese automaker Nissan. Infiniti officially started selling vehicles on November 8, 1989 in North America. The marketing network for Infiniti-branded vehicles now includes dealers in over 50 countries. 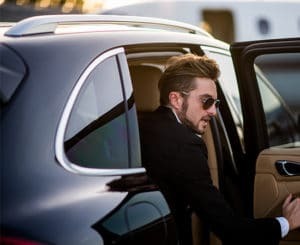 Raise awareness of a new luxury vehicle among upscale consumers, leveraging an integrated campaign of geo-targeted print and experiential opportunities. 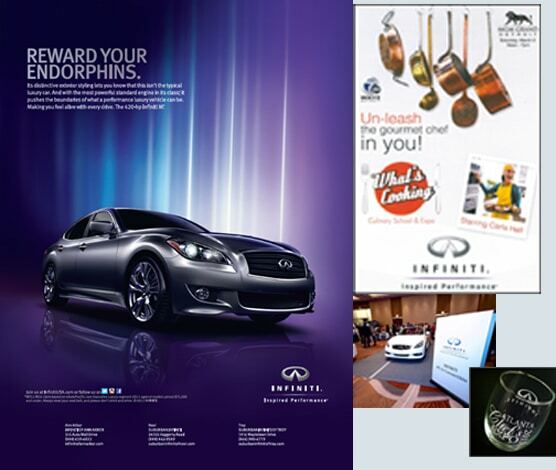 MediaMax planned and executed two events on behalf of Infiniti. The Atlanta Chef’s Expo and the What’s Cooking Detroit both featured celebrity chefs and full integration of Infiniti brand and vehicles. Sponsorship activation included The Infiniti Lounge, a branded VIP area with two vehicles; on-site sweepstakes, which provided qualified local leads for dealers; VIP gifts; inclusion in all collateral, promotion, program and website; and tickets for hospitality use by local Infiniti dealerships.